A Growth Group is a small group of 12-15 members who have chosen to commit themselves to one another for one purpose: growth. In that sense, they’re a little like greenhouses, wherein Christians gather to encourage one another in the Word and to ask the Holy Spirit to take that Word and to cause it to grow and to bear fruit for God’s glory in and through group members. As group members are rooted, built up, and established in Christ, through the work of Word and Spirit, they will begin to walk in a manner worthy of him producing spiritual fruit that nourishes and lasts. We believe growth in the gospel happens when people hear and respond to the Word of God. We also believe that preaching is not enough. We believe people need a place where they can personally work out and walk out the preached Word in committed relationships with brothers and sisters who share their desire to grow in the Lord. Think: the exposition of the Word of God + the exposition of our lives = a Growth Group. We also believe that the church grows and matures as the members of the body learn to speak the truth in love to one another. We believe this involves not just the few speaking the Word of God to the many but every member of the body speaking the truth in love to one another. We believe Growth Groups are a learning lab of sorts where we learn together how to encourage one another with the very words of our God by listening well to one another and learning to speak well-timed, grace-giving, biblical words to one another. Finally, if we’re going to grow in the Lord or go with his gospel to our neighbors and the nations, we need his presence and his power, which means we need to pray. In fact, our first response to the preached Word ought to be prayer. Gospel growth involves transformation, from the inside out, and the only One who can take the Word and do that kind of work, inside and out, is the Lord Jesus. He’s the only One who can change us and the only One who can save our lost neighbors, which is why we pray together, in Growth Groups. Because we must. Not merely in the sense that we are commanded to pray, but in the desperate sense that we will never grow apart from God’s presence and power, and we will never go with his Word, into our community, apart from his presence and power. What are the essential aims of a Growth Group? • To surround group members with a team of people who can pray with them for and encourage them to share the gospel with the lost around them. Growth Groups study material based on the Biblical text being taught in our Sunday morning services. When and where do Growth Groups meet? 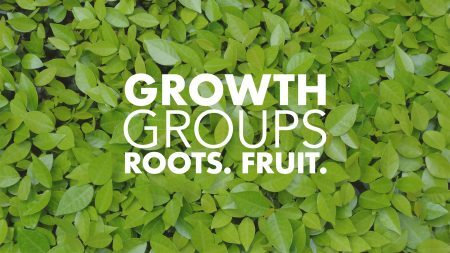 The following is a list of Growth Groups at SMCC. Click on the leaders name to email each leader directly. 7:00pm Cormack Home, 1752 Russet Hill Cir. How do I become part of a Growth Group? You can contact David Spurling or Robert Funk if you would like to join a Growth Group. What if I’d like to talk with someone about leading or hosting a Growth Group? You can contact David Spurling or Robert Funk if you would like to lead or host a Growth Group.